Responsible for honing the product to meet the needs and requirements of users, the product-market fit team combines analysis and a deep understanding of the client’s market with refined technical and engineering skills. By testing a series of improvements and additions with carefully chosen users, the team guides the product towards both profitability and sustainability. At Boldare, our success rests solidly on our teamwork. Not only how we work together among ourselves but also how closely we work with our clients, effectively creating a single project team composed of both our people and yours. 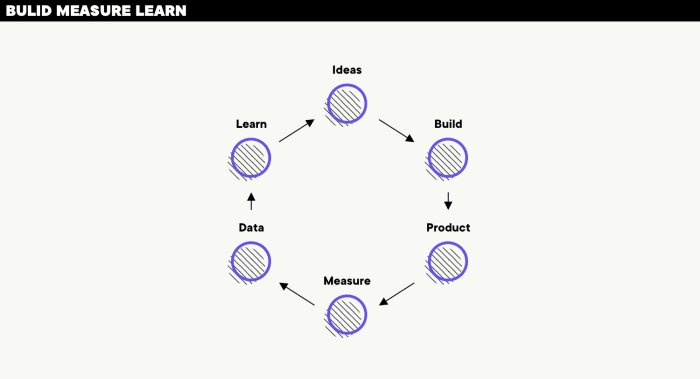 When it comes to the product-market fit part of the lean startup approach to product development, that teamwork is critical to the successful fine-tuning of your product to make it a ‘must-have’ for your target users. A Boldare product-market fit team is focused on turning your existing product or MVP (minimum viable product) into a saleable product. This involves a close and clear understanding of your target market, the further development of the user experience and sometimes even the addition of fresh features designed to appeal to new customer groups. All new features are tested with real users and the results analyzed to inform the next product iteration. Quick context: What is product-market fit? Achieving product-market fit is all about honing your product until you have something customers are willing to pay for (preferably, not only because it works but also because it works better than the competition). Similar to the other elements of the lean startup approach, the product-market fit stage is about experimentation and testing, but with a very specific focus: the detailed needs and requirements of your chosen user groups. The project runs out of time or money. The project team do not have the skills or expertise to identify, research and understand the market. The project team do not test the product with the right market. There is no market for the product. Keeping in mind the technical debt (the cost of future development work which tends to be increased if less-than-optimal, ‘easy’ solutions are used) to ensure an easier transition to the next stage of the development process: scaling and maturity. It’s clear from this list, such teams tend to draw on a wider variety of roles than other stages of the product development cycle due to the necessary blend of technical product skills and market research and understanding. Depending on the needs of each individual project, the team will employ some or all of the following tools and techniques: quality assurance, product-market fit canvas, quantitative research, data visualization and reporting, data architecture, and data analysis. Past colleagues – A new team usually passes through ‘forming’ and ‘norming’ stages in its development; this is normal but not always productive. We find that by including a minimum of two people who have worked together in the past we can skip or shorten the less productive stages and move quickly to ‘performing’ and delivering tangible value. The perfect combination of skills – Every Boldare team is selected with a variety of skills in mind; not only the essential technical and engineering skills and knowledge but also the so-called soft skills, including excellent communication and self-organization. Varied experience levels – You might imagine a team full of experts with long experience would be ideal. However, we see better results from teams that offer both experience and also the fresh views of a project offered by newer team members. Experimentation – while this principle is strongly present throughout the product development process, the point of product-market fit often requires multiple, repeated cycles of experiments, each one a small piece of the whole that must be carefully coordinated and analyzed for the desired outcome to be achieved. A strong focus on the client’s business needs – Again, while it is a constant theme, this focus is particularly strong when working on product-market fit. After all, the business needs (and the product) are an answer to the needs of the market, or at least, a segment of it. Working with a mixed team of experts, knowledgeable in both digital product development and also how to analyze and satisfy a market, means that your existing product or MVP is fine-tuned into a user-pleasing, saleable (and profitable), ready-for-use product. French carpooling platform, BlaBlaCar had 24 million users and a lead position in the marketplace. Wishing to build on this position, the company’s goal was to expand into 27 new countries, with a variety of individual legal and cultural requirements. The secondary objective was to add new and improved features to the app, thus expanding its appeal to potential users who may have been hesitant in the past. The final factor in the project was a shift in BlaBlaCar’s branding, moving away from being purely a transport option (a way of getting from A to B) toward being a more social application, focused on sharing your journey with interesting people. The Boldare team applied the technique of funnel optimization, the ‘funnel’ being the customer journey through BlaBlaCar’s website and app to the point of commitment; in other words, the user experience. Optimizing that funnel involved testing each element – landing page, calls to action, booking process, etc. – and looking for opportunities for improvement with the goals of boosting user satisfaction, increasing the user population, eliminating any weaknesses in the existing product, and adding genuinely valuable new features. New or enhanced features – for example, a route-planning feature that enables drivers to find more passengers – were then A/B tested against the existing product version with chosen groups of users. Product-market fit is a key goal of the lean startup approach to digital product development and the key to success is the team working on it. 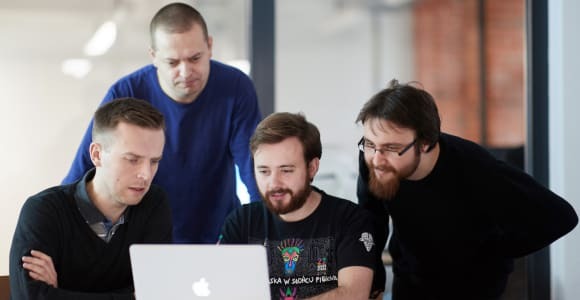 Drawing on a wide variety of roles and skills, from backend developer to business analyst to researcher, the team carries out a series of fine-tuning experiments, each one contributing to the product’s continuing evolution as it keeps pace with, or anticipates, the market’s needs. Digital Product Prototyping – what’s it all about?